Sidereal Trading is excited to announce that we are now the Australian dealer for Rainbow Astro. Rainbow Astro is a division of Rainbow Robotics, a professional mechatronics technology company that designs robotic telescope systems. 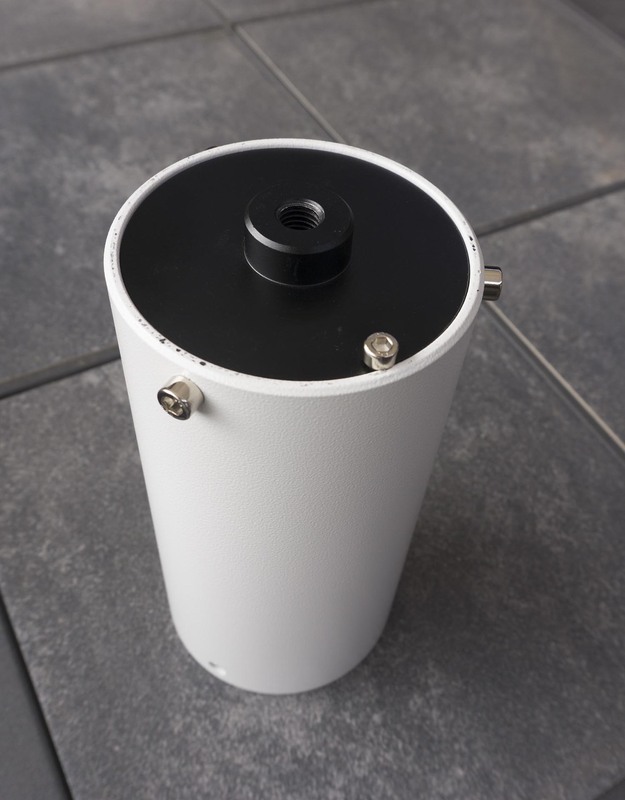 Rainbow Astro have developed a range of high-end telescope mounts featuring innovative technologies that will impress the most discerning astrophotographers. 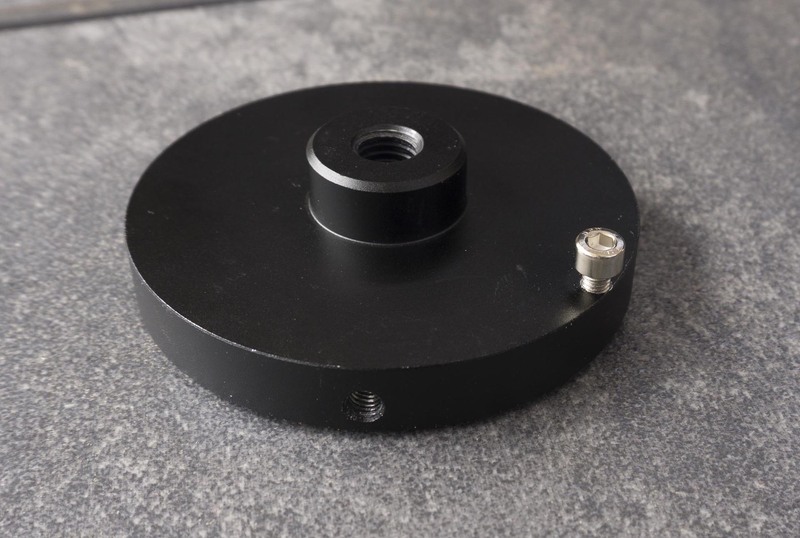 In addition to advanced robotic telescope mounts, Rainbow Astro make a range of accessories for RC telescopes. Sidereal Trading has receive our first shipment of RSF Secondary Mirror focus kits for 8″ and 10″ RC Telescopes. The RSF Focuser replaces the secondary mirror holder with a Stepper Motor Moving Focuser. 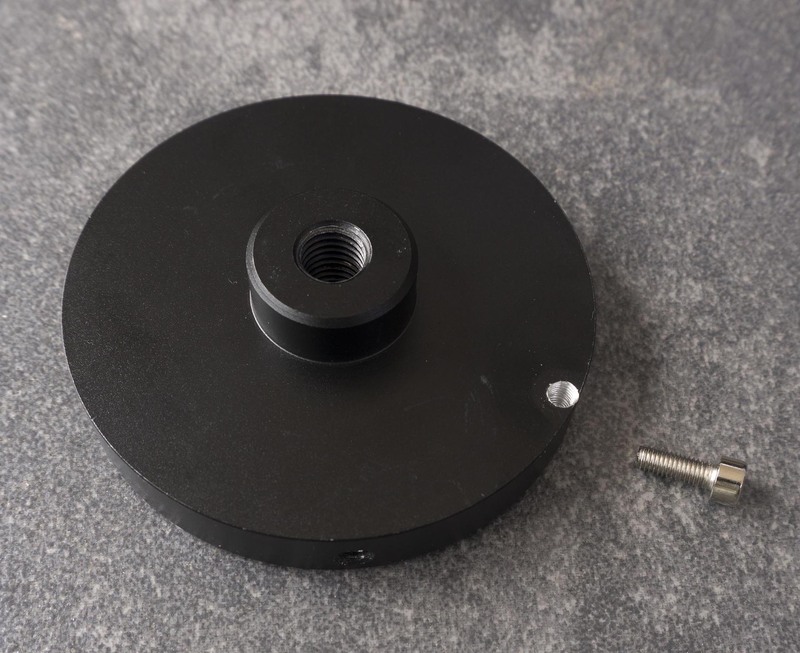 This allows the original focuser to be complete removed and replaced with an optional Fixed Focus Adapter that provides threaded couplings to mount the camera to the telescope. The Fixed Focus Adapter eliminates any possibility of camera tilt being introduce by a poorly constructed focuser. The RSF Secondary Mirror Focuser Kit incudes Hand Controller and an ASCOM driver allowing remote focus via a USB cable connected to a PC. You can purchase the DIY kit to upgrade your telescope or buy a Sidereal Trading upgraded GSO RC telescope with the focuser preinstalled. Would you like to bypass the hand controller and control your EQ Series Equatorial Mount directly from a computer? Then you need to install EQASCOM and purchase an EQDIRECT USB to TTL serial cable. 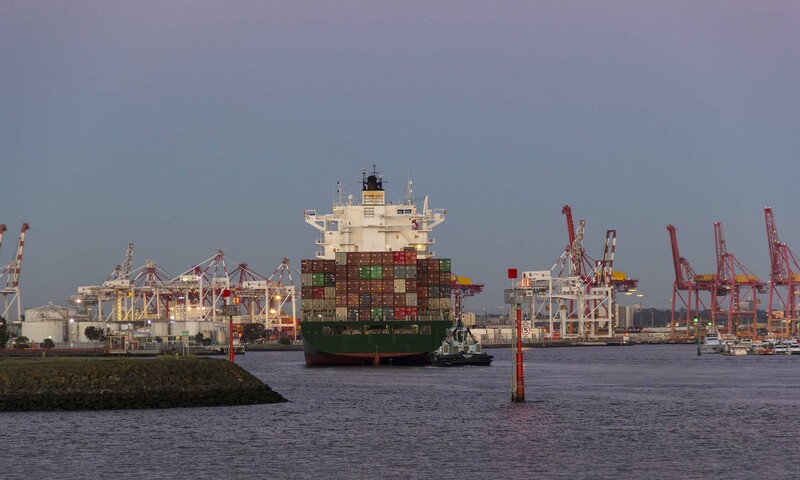 Why pay $75 or more when you can purchase a Sidereal Trading EQDIRECT cable for $50. The EQDIRECT-USB-DB9 is compatible with EQ6/NEQ6 Pro Series mounts and provides a 5V TTL serial signal via a DB9 connector. All cables are based on the FTDI USB to serial chipset for maximum compatibility with your operating system. To learn more about EQASCOM refer to THE EQMOD PROJECT website. 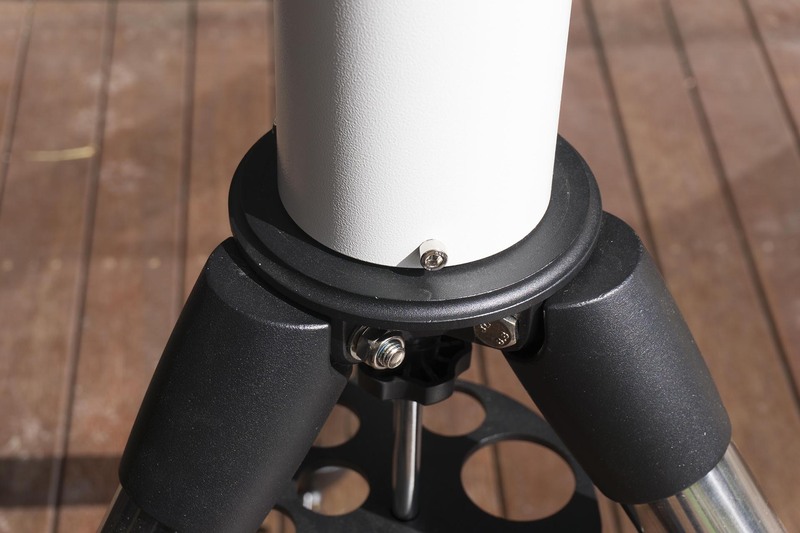 The 20cm Skywatcher NEQ6/AZ-EQ6 pier extension is a great way to gain the extra height needed to prevent long focal length OTA’s from colliding with the tripod legs. The extension is attached to the tripod using the standard central bolt. Even if the central bolt is tightened as much as possible, it doesn’t take much force to rotate the pier. This can be very annoying if you have carefully polar aligned the mount and it accidentally rotates while you are loosening or tightening the clutches on the AZ-EQ6. This problem is easy to fix. Luckily the pier base plate is made of aluminium and is very easy to drill. 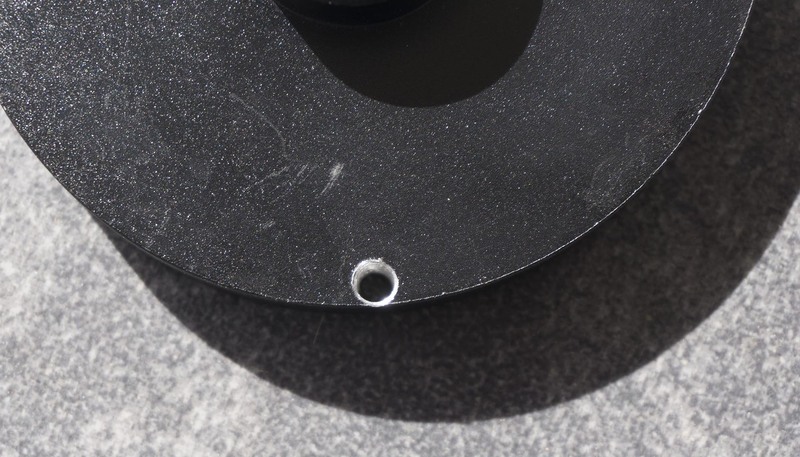 The solution is to drill a 4mm hole very close to edge of the plate and tap it out to 5mm. You can then use an M5 socket head bolt to provide a locking post. The head of the bolt fits nicely into the original post hole on the tripod plate. With the central bolt tightened it is now impossible for the pier to accidentally rotate. Sidereal Trading are really excited to be sponsoring Star Stuff II. After the sell-out success of the inaugural “Star Stuff – Festival of the Cosmos” last year, organiser Dylan O’Donnell has confirmed the space and science themed weekend will be returning to Byron Bay in July 2018. 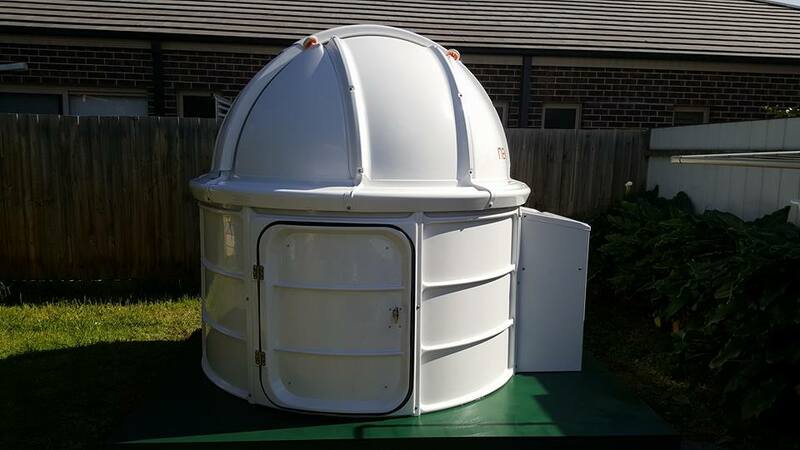 If you’ve added a Personal Observatory to your list of Must-Have astronomy equipment then this is a great opportunity to see and touch a NexDome. Sidereal Trading will have a fully functional NexDome Personal Observatory operating in the Star Stuff Vendor Pavilion. Speak to the Sidereal Trading staff, ask questions and learn how easy it is to build your observatory. At the same time you can enjoy the amazing line-up of Key Note Speakers, enjoy the beautiful 5-Star Elements of Byron resort and relax under the dark skies of Byron Bay. 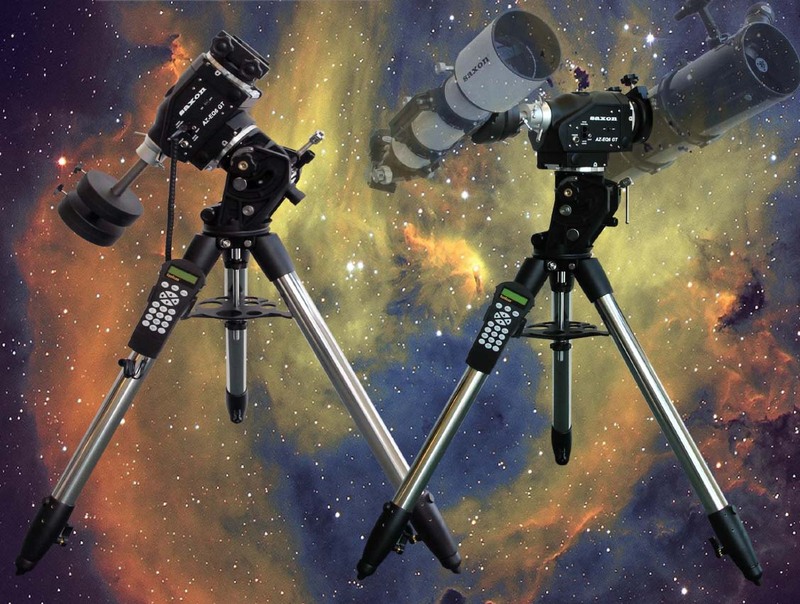 Sidereal Trading are happy to announce the release of the saxon FCD100 Air-Spaced ED Triplet Refractor Series. These telescopes feature Japanese Hoya FCD100 optics. Relying on technological innovation, Hoya have successfully launched the high-performance optical glass at the apex of the FCD family. Hoya FCD100 is considered the best glass ever produced by Hoya. Featuring an air-spaced triplet optical design that virtually eliminates chromatic aberrations, these telescopes generate brilliant high-contrast images by combining genuine HOYA FCD100 extra-low dispersion (ED) glass and proprietary EMD enhanced multi-layer deposition on all optical surfaces. The saxon FCD100 Triplet Series is available with 80mm aperture 480mm focal length F6 optics, 102mm aperture 714mm focal length F7 optics and 127mm aperture 952mm focal length F7.5 optics. In addition, these amazing Telescopes include a dual speed (10:1) 2.5″ focuser featuring a very rigid design with strong support. Up to 4.5kgs of camera gear can be loaded onto these focusers. Having a true diffraction-limited optical design and sized to encourage spontaneous stargazing sessions, these high-quality telescopes are a perfect grab-and-go instrument for exploring the skies. 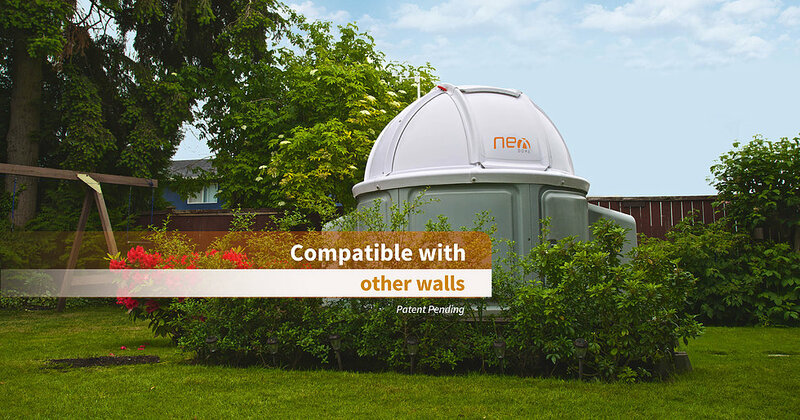 The NexDome 2.2M Observatory Dome is compatible with other popular Dome Walls. Unlike half-dome designs, NexDome is a classic observatory dome with more than 100 degrees of shutter opening, allowing you to point your telescope to the zenith while remaining shielded from stray light and wind. The great thing about NexDome is that its a modular system. You can purchase just the components you need to build an observatory or a complete solution. If you have already built a DIY shed and require an automated dome then purchase just the NexDome 2.2m Dome and Ring. If you have an existing observatory with 2.2m diameter walls and rollers then upgrade to a fully automated NexDome solution with the NexDome 2.2m Dome only.